North Lodge Self-cateringNorth Lodge is one of our most popular cottages and offers comfortable accommodation for four in two en-suite bedrooms. 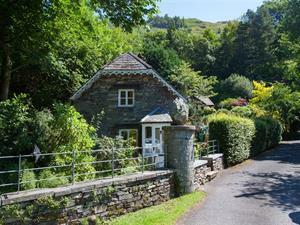 This delightful detached Victorian lodge is in a rural location, set back from the Ambleside to Keswick road under Butter Crags, on the outskirts of Grasmere. Pet goes free of charge Children welcome from any age. North Lodge offers weekly bookings starting on Saturday.